Now I have to checkout Mr. Schwartz......looks like I might like him , too! OMG! you did such a fantabulous job! 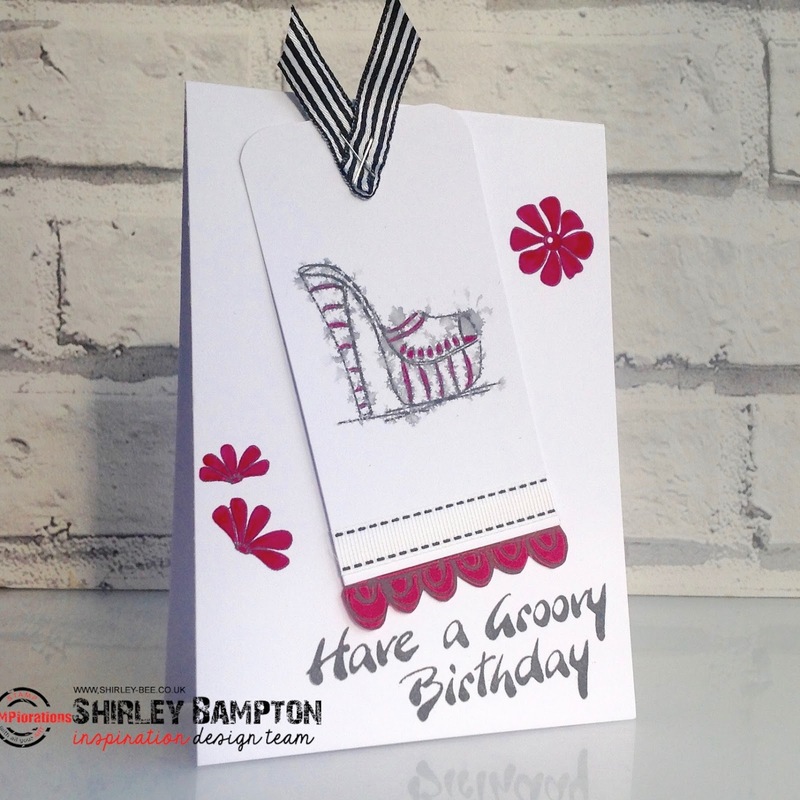 this stamp set is indeed groovy but as you show with all your cards very versatile as well! Va va voom! One funky pair of shoes, Shirley! Yep...totally groovy! That sentiment is awesome! Ha! Bet Herr Schwartz learned from some of my failed attempts! Love this stark rendition of that groovy slide.